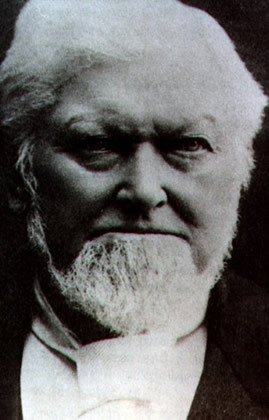 Wilford Woodruff (1807-1898). The fourth president of The Church of Jesus Christ of Latter-day Saints. Among other things, he is probably best known for the “Manifesto” in 1890 that officially ended the church’s teaching on plural marriage, though it continued unofficially until 1904. He had married at least seven women himself. Today he is buried at the Salt Lake City cemetery.